Walking down both Hollywood and Sunset Boulevards in Disney’s Hollywood Studios, you get that old movie star feel. The architecture of the buildings, the costumes worn by the Citizens of Hollywood (they’re a hoot! ), and the details of everything from parked cars to storefront windows. It screams vintage! 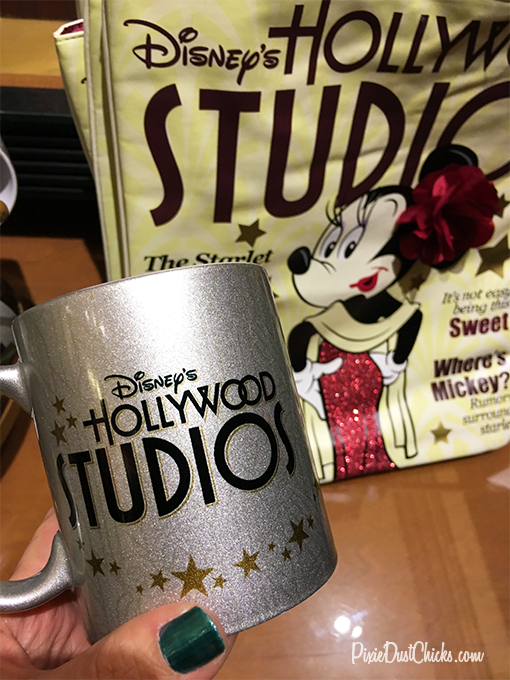 Well, now you can bring that look home with the new Disney vintage styled merchandise of shirts, accessories and decor! Vintage styled bag? Yes, please! We fell in love with this bag immediately! 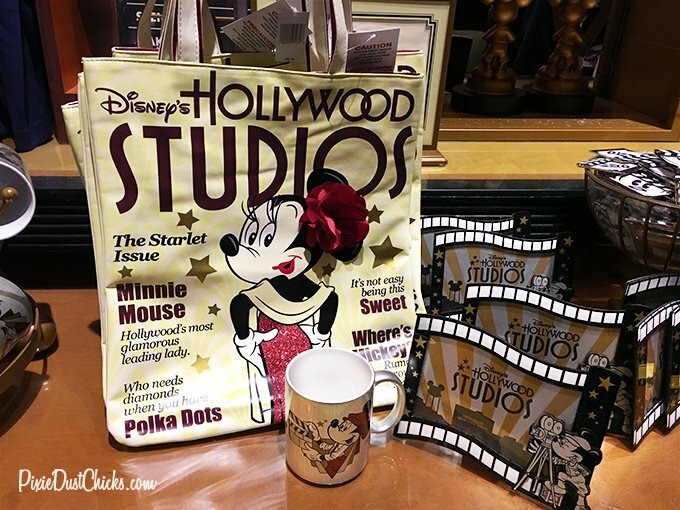 Those Disney Imaginears are so clever… designing it like a magazine cover was brilliant, especially with Minnie as the centerpiece. Isn’t she the most darling starlet?! The flowy, raglan type shirt on the left is the perfect complement to a pair of black leggings or pants for a cool afternoon. Even better, pair it with red shorts to connect to Minnie’s dress and the flower on her head. 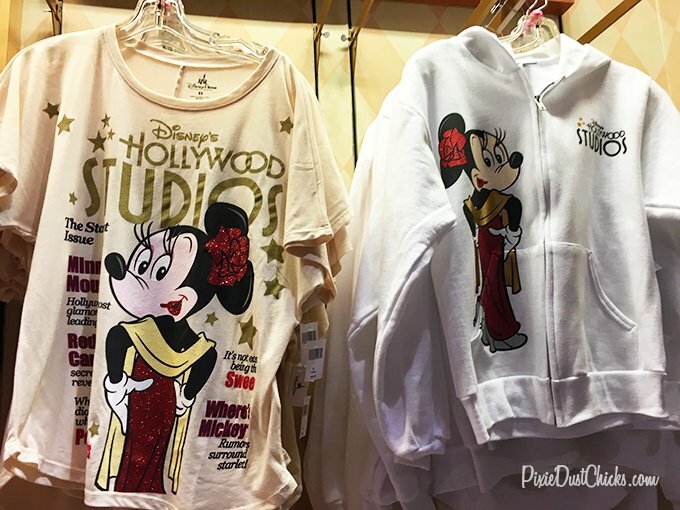 And we’re loving the white jacket on the right with Minnie’s same vintage look! 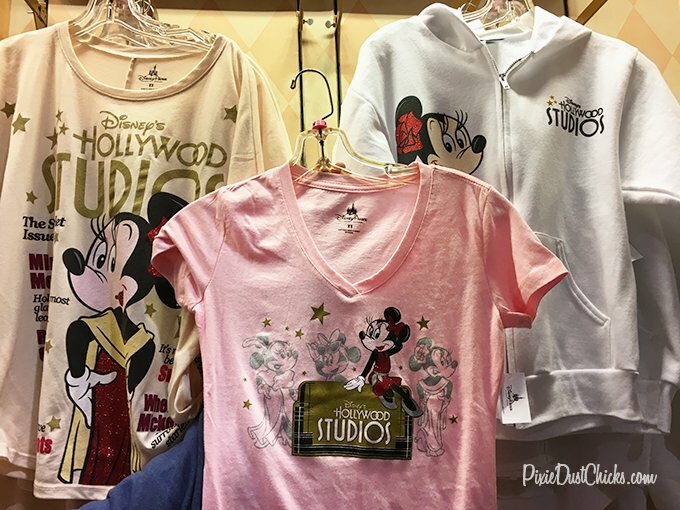 Minnie really knows how to glam it up on this pink v-neck shirt. Love the DHS sign and stars, too!! We would love putting this top with red or black shorts and topping it all with red ears! So what’s your favorite item in this line up? Omg!!! How adorable!!! May cannot come soon enough!!! 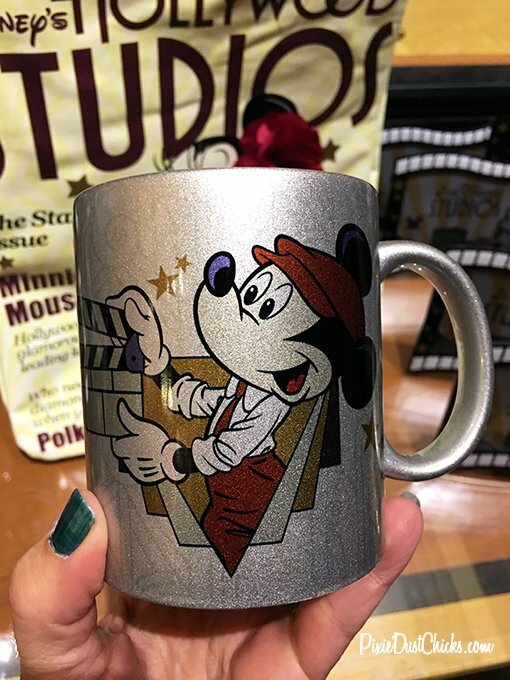 Love the mug!! I must have one! Isn’t it great, Angela?! Love all the sparkle! !